Need guidance to build a winning resume? – one that will catch the attention of every recruiter. 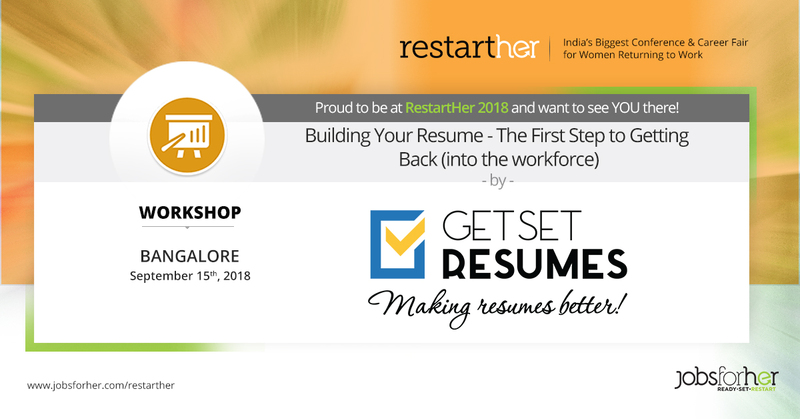 Get Set Resumes in their workshop titled “Building Your Resume – The First Step To Getting Back”, will coach you on how to prepare a strong resume that captures your break, strengths, and experience in the best possible way. Also, learn the ropes to impress HRs who screen your resume, how to substantiate your career break and how to write your resume in an impressive way. Build a powerful RESUME today – one that will make your restart journey a success!